I'm sure you've heard a lot about lithium — and rightfully so. It's on an upward trend to become the most desired energy source out there. Goldman Sachs hails it the “new” gasoline. Lithium batteries have powered electronic devices — like smartphones, laptops, and tablets — for a few decades. They're relatively inexpensive and keep our devices powered up when we need them. Companies like Panasonic (OTC: PCRFY) have been making strides to perfect the lithium-ion battery used in your handheld, IoT, and wearable technologies. They are working to make lithium batteries safer and to improve their power capacity. Panasonic unveiled its new razor-thin, silver wafer lithium-ion battery. This battery can be twisted or bent 1,000 times while still maintaining 80% of its capacity. More recently, these batteries have become a crucial component of the automotive industry. As hybrid and electric cars become more popular, automakers need lithium batteries to power their cars. As governments work toward creating new regulations and legislation for emission and pollution reduction, hybrid and electric cars have become more popular. A total of 384,404 hybrid cars were sold in all of 2016 — a trend that isn't slowing down. There's also been a significant increase in people becoming environmentally conscious. This increased concern is another factor in the booming lithium demand. Bloomberg forecasts that sales of electric vehicles will hit 41 million by 2040. That would represent 35% of all global new car sales. 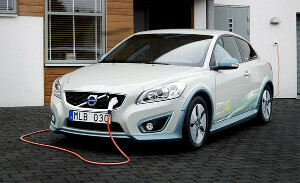 Hybrid and electric vehicles are a good choice when buying a new car as they meet the new car regulations. The U.S. isn't the only country in favor of electric vehicles. Many countries have been proactive in implementing new policies and regulations that benefit the environment. Germany mandated that all new cars will need to be emission-free by 2030. Norway is working toward passing legislation to ban sales of gasoline-powered cars by 2025. China is another country taking a step in the right direction by introducing lithium-powered buses for its public transportation. This will have an impact on China’s pollution levels and will set an example for other countries. Governments worldwide are making legislation and regulations to enforce the use and purchase of electric vehicles. They support their citizens owning electric cars and reducing the environmental footprint left by gasoline-powered vehicles. This is great news for automakers that have been putting most of their development and production toward electric vehicles. Tesla (NASDAQ: TSLA) is one of those companies. It's not only focused on producing affordable electric vehicles but also on providing energy storage to every household with its Powerwall residential energy-storage system. Storage presents tremendous benefits... It can be deployed quickly, it’s resilient, it diversifies the mix, it helps size the infrastructure more adequately to demand, it just makes the whole thing more efficient. So we agree that there’s great promise, we know that it works… but how do we make it go faster? This market has an incredible amount of momentum for energy storage, especially when it comes to moving away from an aging energy infrastructure and enhancing our energy capacity, flexibility, and reliability. In early 2017, one of the largest lithium-ion storage facilities was launched in California. It will provide grid support for the North Central Region of San Diego County. AES Energy Storage, a Virginia-based company, built this 30-MW, 120-MWh system in El Cajon, California, after the loss of the Aliso Canyon natural gas storage facility. The state and California Public Utilities Commission (CPUC) were desperate to replace this facility when faced with the risk of not having gas running to where it was needed. The decision to build this energy storage facility came at a time when prices for energy storage had come down substantially... This idea wouldn't have been on the table a few years ago, and so much has changed since then. This project is evidence that California is moving into a post-renewable world... I didn't expect to see these kinds of prices in batteries until 2022, 2024... we are far in advance of where we expected to be. California — and states like California — requires more intermittent renewable energy on utility grids. It requires a way to store the energy being created through renewable sources like wind and solar, which has battery installations rising. And this trend will only continue to grow throughout the country. FMC Corporation's (NYSE: FMC) performance has been exceeding expectations, so it has decided to triple its lithium hydroxide production capacity by adding 20,000 metric tons per year. The decision to increase production is based on the growing demand for electric vehicles. Its lithium segment has been the best performing segment of its company. It rose 8% in revenue from the previous year's quarter while its earnings grew 170.9% from the prior year's earnings. We partner closely with leading manufacturers of lithium-ion batteries and electric vehicles to ensure our production meets their current and future demand... Our manufacturing network is highly flexible, which allows us to increase capacity or accelerate expansion as customer needs warrant. FMC consists of 13% of the global market share for lithium. Sociedad Química y Minera de Chile S.A. (NYSE: SQM)'s lithium segment has been the company’s main source of revenue growth over the past few years. SQM operates in Chile — home of the world's largest viable lithium deposits. SQM achieves 22% of the global lithium market. This market advantage allows the company to be the lowest cost supplier in a time when lithium demand is growing steadily — making it more appealing than its competitors. Recently, it's taken on a 50% acquisition of an Argentinian Lithium Americas Corp. (TSX: LAC) property, which paves the way for an even greater future for the company. Albemarle (NYSE: ALB) is another company that's been leading the lithium market. Albemarle consists of 35% of the world's lithium market share. It has a market cap of $9.39 billion. This company has no problem exceeding its prior year’s figures. It brought in $3.65 million in revenue for 2016, compared to the $2.44 million from 2015. Albemarle has three main sources for lithium: Salar de Atacama, Chile; Silver Peak, Nevada; and a 49% share in Talison Lithium in Western Australia. There have been 1.3 million electric vehicle sales worldwide. Those figures will rise as governments continue to favor them and as oil prices begin to increase. Goldman Sachs and Deutsche Bank both expect lithium carbonate demand to almost double by 2025. And it will, especially if we continue to see increased electric car sales. According to Freedonia Group, the global demand for lithium is expected to rise 8.9% per year through 2019, projecting that the value of the global lithium market will be around $1.7 billion. FMC Corp., SQM, and Albemarle are leading the production of lithium and will keep working to satisfy the escalating demand for lithium.